The country of my wife and sons is currently undergoing some major upheaval. For many years Cameroon has proudly sat as a beacon of peace in the turbulent political atmosphere of west / central africa. Surrounded by the likes of Nigeria, Central African Republic, Gabon, Republic of The Congo and Equatorial Guinea. Any worldwise person will understand that each of these countries has suffered its own recent turmoils whilst Cameroon has managed to remain a relatively stable state. Not for much longer I fear. Now, although peaceful Cameroon has an abysmal reputation for corruption, be it from the lowest ranking police officer up to the President himself every one is on the take. If you want to get anything done you have to pay the officials extra...and yes its easy to say "I wouldn't, it's against my principles", but if you want to obtain your exit visa on time give the guy money a beer or he'll sit on it...I know from experience. However things are beginning to get much more serious and I fear that some kind of civil war could erupt at any time. On Monday the taxi drivers and bus companies went on strike over the rise in the price of fuel (bear in mind Cameroon is an oil producing nation) and Douala (economic capital) and Yaoundé (capital) ground to a halt. Unfortunately some people decided that this would be a good time for a bit of a riot, some deaths ensued. Negociations took place and an accord was reached with minimal fuel price reductions being implemeted. The disturbances have, however continued, this time on a far more political basis. If these protests continue I can see a beautiful country, of wonderful people descending in anarchy and chaos. 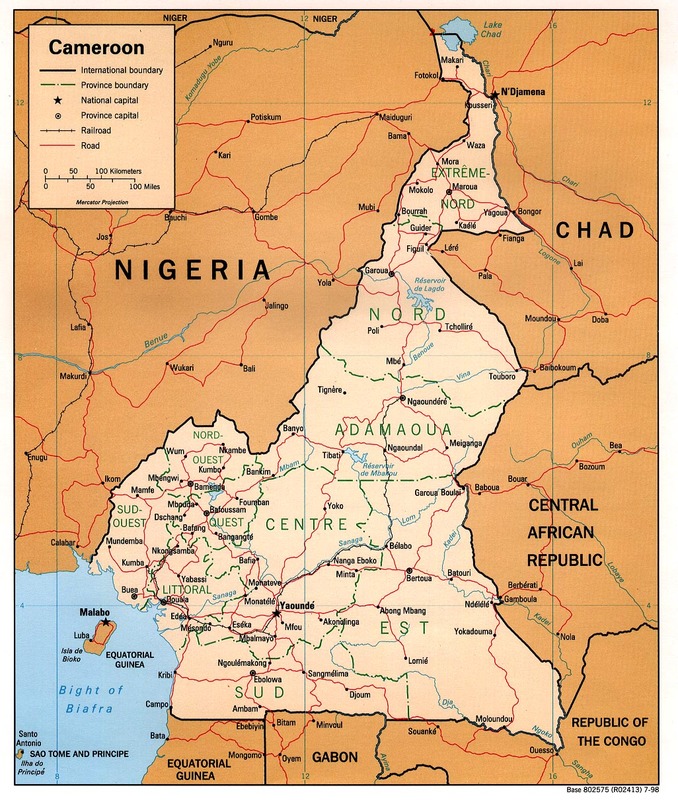 There are over 200 different ethnic groups living side by side in Cameroon. Any party wishing to come to power must appeal to as many of these groups as possible and with unrest at large this may not be possible. I do hope that the politicians are able to sit down and work this out, otherwise Cameroon will become another sad statistic of new African republics gone bad. Paix - Travail - Patrie / Peace - Work - Fatherland.